September 7, 2019 – Land at Heathrow and travel to Chagford via private car service from airport to five-star accommodations at the Three Crowns. September 8, 2019 – Head to the 4 star Alverton Hotel in Truro, via Dartmoor and Plymouth. September 9, 2019 – Enjoy a tour of Landsend, including much of the sweeping cliffs found in Poldark. September 13, 2019 – Breakfast in London followed by an afternoon return flight from Heathrow. Raffle tickets are not refundable or replaceable for any reason. 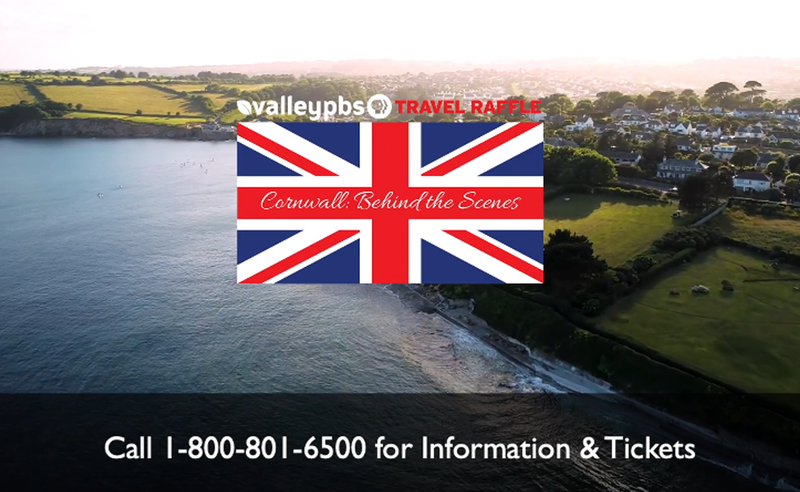 Current ValleyPBS employees or family members are barred from participation in raffle. Raffle drawing will be held on June 20, 2019. Winning ticket holder will be notified by phone and email no later than June 24, 2019. Winner has 10 days to claim prize and provide the name(s) of persons who will be traveling. Prize is not transferable or exchangeable and trip itinerary cannot be altered. Prize cannot be sold to a third party for cash. Prize cannot be redeemed for cash value.